La Palma, April 26th. 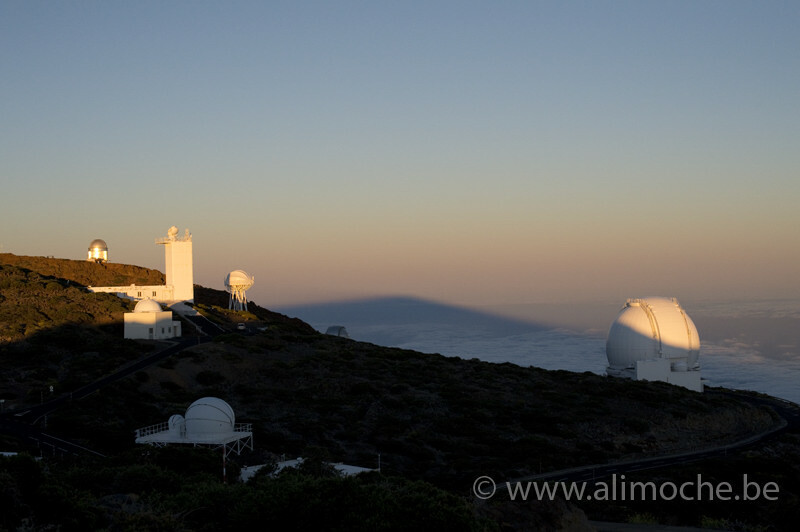 In this season, both the flowers and the domes at the Roque de los Muchachos observatory are looking upward to the skies. The plant (Echium wildpretii) is biennal and carries a flower which can reach a height up to 3 m in some cases. 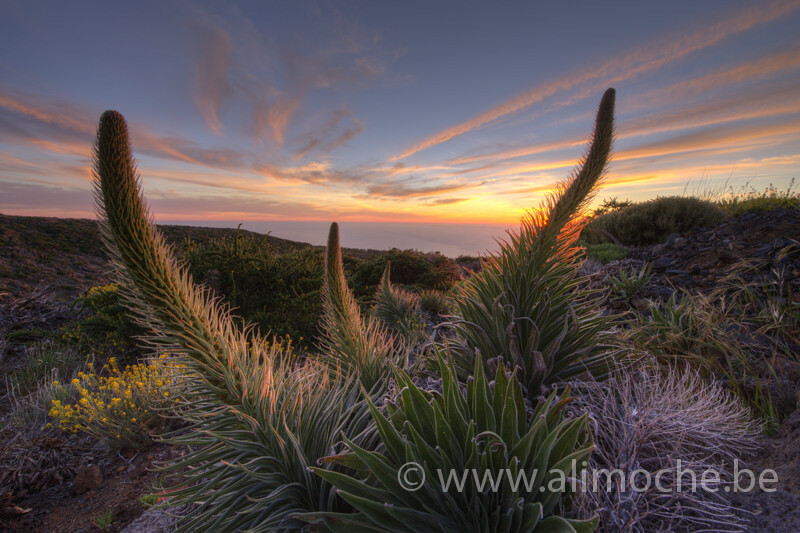 The species (namely “tajinaste rojo”) is endemic to the island of Tenerife, but it also grows at high altitudes on La Palma. The shadow of the island in-between the domes is cast upon the sheet of clouds running to the Northwest of the observatory. This entry was posted in astronomy, flora, travel, Spain. Bookmark the permalink.